Based at the Head office in Bristol since 2004, Chartered Member of the RTPI since 2000. 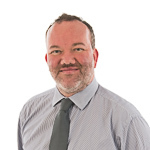 Previously he spent four years in local government planning policy at Worcestershire County Council and Bristol City Council, followed by three years as Regional Planner at a town planning and surveying consultancy in Bath. His experience at Tetlow King Planning has been varied including managing a wide range of planning applications and appeals for one to 400+ dwellings, affordable housing including rural exception/cross-subsidy schemes, employment, commercial, marina, retail, care and enforcement appeals; Providing expert witness at numerous appeal hearings, public inquiries and examinations; Preparing masterplans and development briefs for private and public bodies; Promoting large schemes and development briefs; Project managing multi-disciplinary teams on large scale projects including Architects; Landscape Architects; Highway, Drainage, Flooding, Structural and Mining Engineers; Archaeologists; Ecologists; Valuers, Counsel, etc. ; and undertaking complex negotiations with local planning authorities over requested planning obligations.